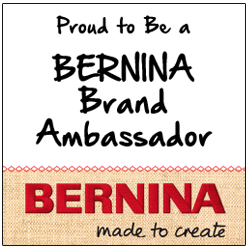 When I first learned to applique, more than twenty years ago, uniformity and perfection were the hallmarks of excellence. In many applique circles, especially those grounded in the traditional style, these values continue today. 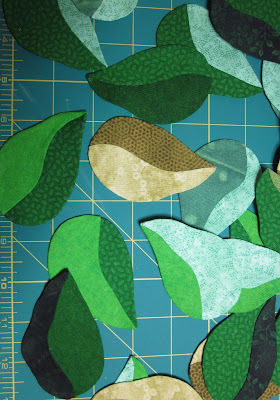 Even as I was developing my own applique technique, my initial goal was to create a process that would allow me to quickly and efficiently make precise and uniform templates for my applique motifs. Stapling and cutting multiple layers of template material gave me that outcome, and I appliqued on happily for many years. But lately, I find my desires are changing. Leaves are never uniform in nature. They twist, they change colors as they mature and they're all different sizes. One of the nicest things about my applique technique is that I can make changes on the fly. 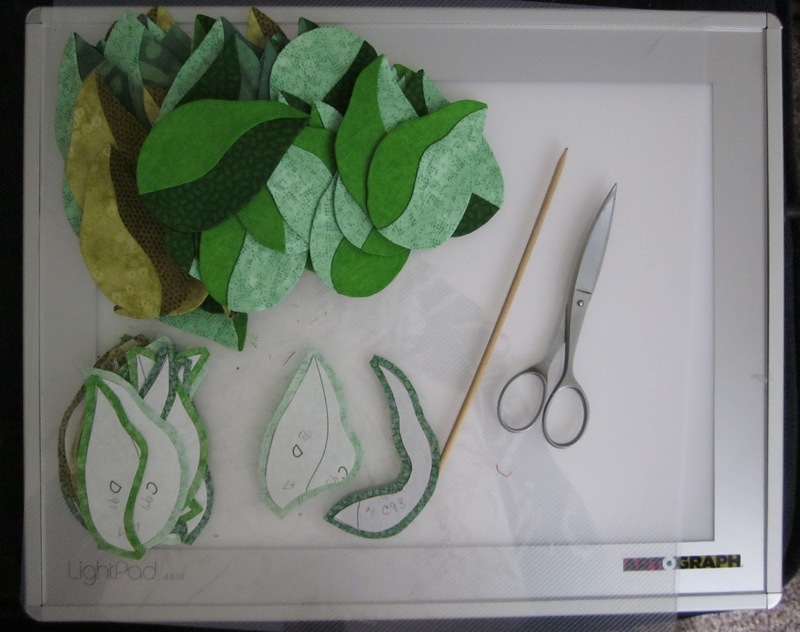 Early on I decided that I'd cut out each leaf individually, all eleventy-million of them, a far cry from the quick and efficient method I worked so hard to perfect. One of the most frequently asked questions in my classes is where to cut: inside the line, out side the line or exactly on the line. I always reply with "somewhere near the line". Since I cut each element from a complete motif (as opposed to exploding the design and cutting each element individually) it doesn't really matter how the cut is made. The shapes will fit together again, guaranteed! For example, here's a basic leaf template. It looks like I more or less followed the line for the outer edge. 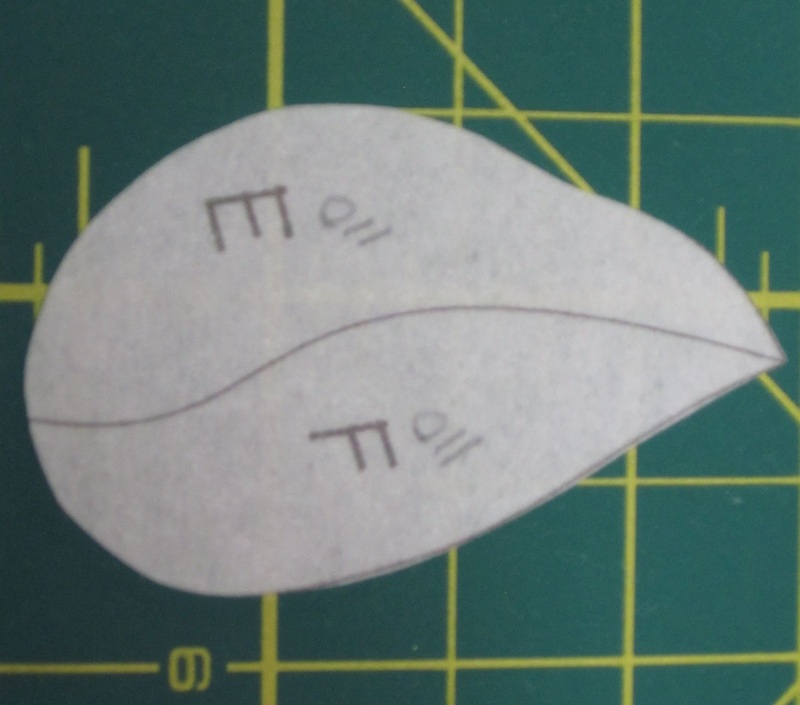 Also notice that each half of the leaf has a letter name and a penciled in number. I call these notations the "address", so I'll always know which halves belong together. When it came time to cut the halves apart I totally ignored the line. My only concern at this point is that the two halves end up on a different fabric. After all of the leaf parts are trimmed for the seam allowance, they are sorted by letter and shape. You can see that I missed the line on quite a few of the leaves. 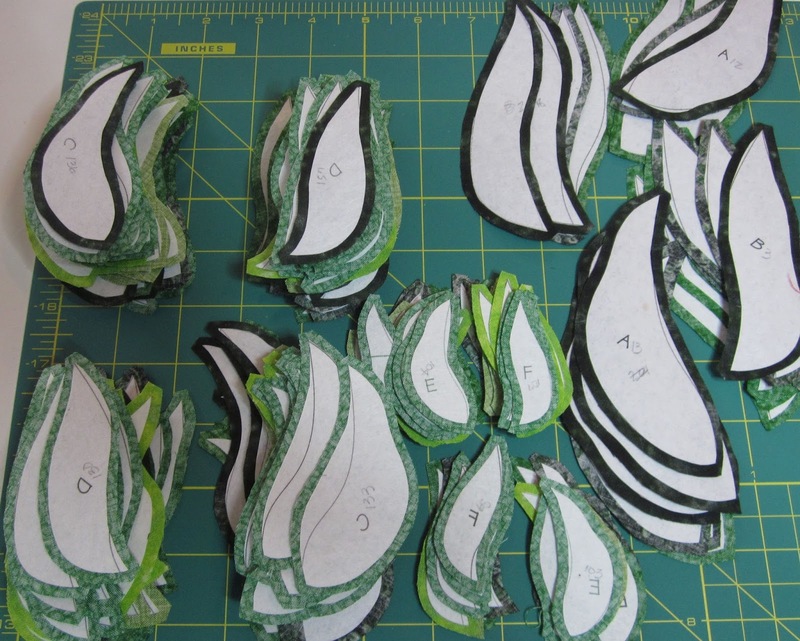 From here, the pairs are matched up and it's time to start glue basting. This is my lap sized light pad (about 11" x 14"). I've covered it with a bit of template plastic so I'm not getting glue directly on the surface of the pad. 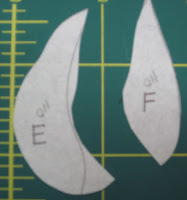 I need my scissors to clip a few concave seam allowances. You can see on the leaf about to be basted that the cut was so wild that I had to transfer the address to the skinny half, no biggie. The cuticle stick is what I use to control and adjust the seam allowances until they are smooth and perfect. No fancy, expensive tools needed here. I use a simple white glue stick, which is on the table next to my beverage of choice. I have my feet up on the foot stool, I'm onto season three of Foyle's War on Netflix now, and I still have about a third of the leaves to go.